This is a fandub I'm making for YouTube. This comic is originally by Kaiotgirl on Deviantart. At the moment, she's only partway through Waterfall, so I'm gonna have to wait for some of the more important characters ( Alphys, Mettaton, Asgore, ect.) SO stay tuned on this project for more information. Most of the voices are going to be creepier than the original characters. Some of the language will be cut out for family friendly content, so no bad swearing (AKA will be bleeped out) I'll be playing Frisk so have fun and I'll see you all in the auditions! Have fun and I can't wait to start working! 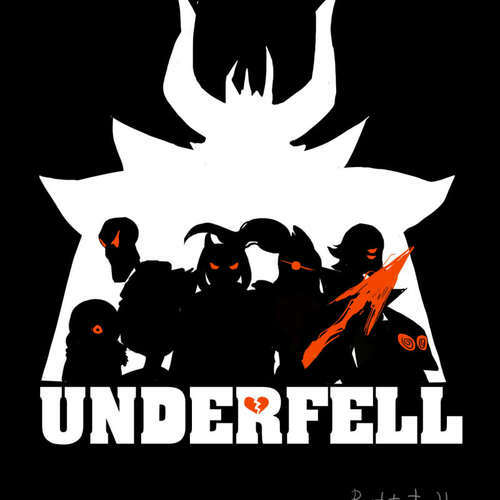 Flowey is the first monster Frisk encounters in the Underground. 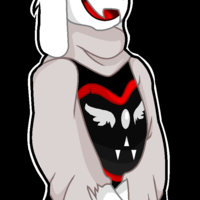 He helps Frisk through the Underground and helps them out through many troubles. (stressed) Let's start easy (Pause) Howdy. What's your name? (confused) You want to know my name? (Pause) Er, well, I'm (Pauses) I am (Pauses) Yes, I'm Flowey! 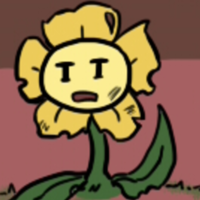 Flowey the flower! (Excited) Oh my! Is that (Pauses) Well if it isn't a precious human child! (Creepy/Mother like) You can do it though. You are a strong child, aren't you? (Pauses) Excellent! Your such a cutie patootie! (Sad/angry) I see what your trying. And you even dared to mention my son. (Pauses) You (Pauses) You. How hideous and low of you (Pauses) Even killing you is worthless. Get out of here. 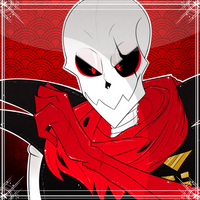 Papyrus is a captain of the Royal Gaurd and itches to become head of it. 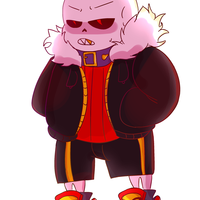 His brother/servant is Sans and he longs to be at the top of the ranks. (Furious) SANS! (Pauses) YOU KNOW WHAT'S UP, LAZY BONES! WHAT ARE YOU DOING OUTSIDE YOUR STATION!? (Excited) PREPARE YOURSELF TO SURRENDER TO ME! NYEHAHAHAHAHAHAHAHAHAHA! (Content) OF COURSE! WE'RE GOING TO HAVE A DATE! AND SINCE THAT'S KIND OF A ONE-ON-ONE THING, YOU'LL BABYSIT THE FLOWER! WELL, THIS IS WHAT THE HUMAN WANTED ALL ALONG, RIGHT? Of course it was. An edgy sentry for the Royal Guard who only wants to be lazy. His brother/boss is Papyrus and never steps out of line (Unless Papyrus is not looking) He almost kills Frisk when they first meet. (Content) Oh welp, you caught me. The ol' buzzer in the hand trick. It's to predictable nowadays. Now that I look at you, maybe it's better that you didn't grab it. This thing could've killed you. Maybe. I dunno for sure. (Surprised) B-but my shift ends in ten minutes! (Pauses) But, Papyrus, me? Babysitting!? I-! (Pauses) Er ok fine. (Pissed) OUT OF MY FACE ALREADY, YOU BRAT! 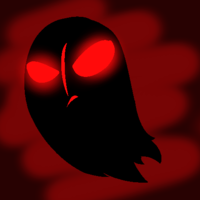 Napstablook is a ghost who just always seems pissed off. There's no more to say other than just make his voice sound hoarse. ONLY READ 1 LINE! (Content) By the way, that friendly attitude, you'll die if you keep it up. Just saying. (Pissed) Why can't you just leave me alone!? (Sad/Pissed) I just told you I want to be alone, kid. I need no one at all. All of you should just disappear. (Pause) dissappear. (Pause) Like he did. MK is a monster who just CAN'T! STOP! CUSSING! 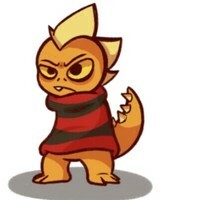 He has a dream of becoming Undyne's pupil and later plans to assassinate her. (pissed) Uh, yo, before you say anything. f*bork*k off ok? I'm busy. I can't play with kids like you. I can tell cuz your wearing a striped shirt. Dumb a*s. I'll be grown up soon ok? 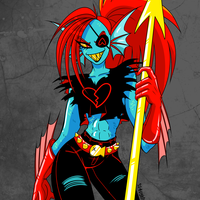 I plan to become Undyne's disciple! And you wouldn't even serve me as a dang training dummy! So go to hell! (Upset) F*BOOOOOOOOOOOOOOOOOOOOOOORK*K! I ALMOST GOT HER! (Somewhat happy?) Er (Pause) You know I told you I wanted to be Undyne's disciple? Well, it's not going so well, she keeps busting me. So I'll just kill her instead! Then I'll get real strong! And since you've got a dumb face, you could be bait to her! 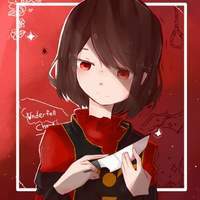 Chara is the first fallen human and Asriel's "Best Friend" they died a long time ago and first show up in the comic in a nightmare Flowey has. They're voice is more genocide Chara. Gender doesn't matter to me. (Creepy) How? How dare you? Asking for my help, when it's your fault, we ended up this way? (Pause) It's time to pay, Azzy. Needs to make Frog noises and have a smooth narrator voice. (Narrator) Looks like there's something in the darkness. You decide to approach it. (Narrator) You called for help (Pause) But nobody came. I'll make more CCC's for more characters later. So stay tuned! I'm not a good editor. If you can edit. Private message me with a piece of work you've edited.